Sights in Alonissos. What to see and do and not miss. 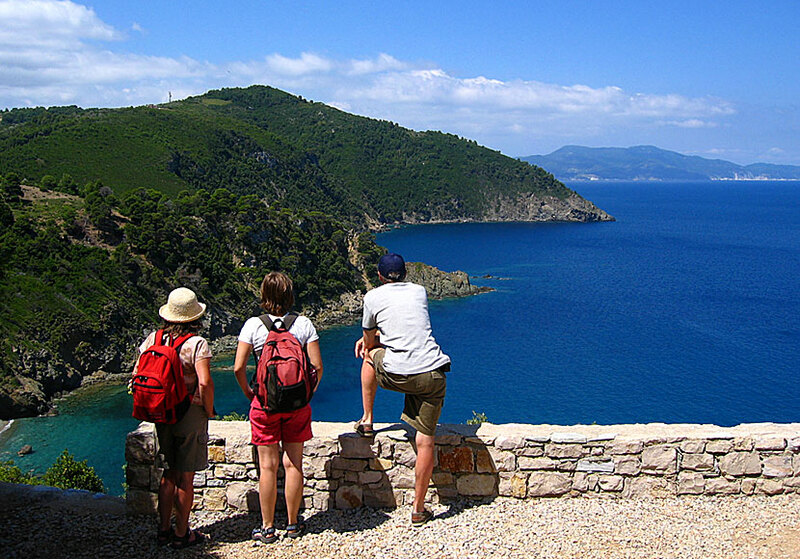 There are no actual attractions on Alonissos except for the beautiful scenery, the Marine National Park and the wonderful crystal clear waters. But what else do you need. Agia Anarghiri church. To the right (not visible in the picture) is the cozy beach Megali Amos. One thing I happily want to tip about is the church of Agia Anarghiri. Maybe not so much for the church itself - even if it is incredibly attractive - but for the place where the church stand. 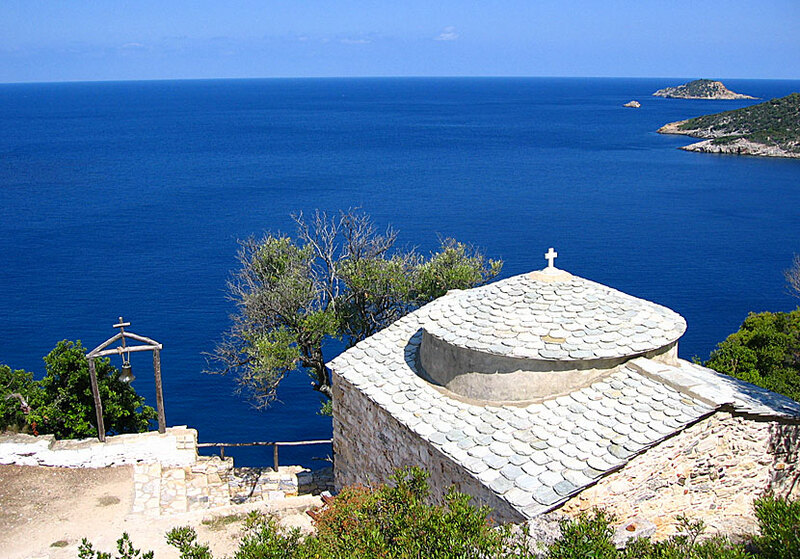 Alonissos offers many nice views, but nothing comes close to the view from Agia Anarghiri. The place is magical, almost unreal. You can sit here a long time and just look out over the sea. The path that leads to Agia Anarghiri. It requires a short hike to get to Agia Anarghiri, but it is not strenuous at all. You almost drive the same way as to the beach of Megali Amos. Here is a repetition: when you passed the school of homeopathy turn left, at the junction turn first right and then left. At the next junction turn left (to Megali Amos you took right). Then drive until "the road" ends and park where you see a signpost that says "Foothpath". Follow the path down until you reach the church. 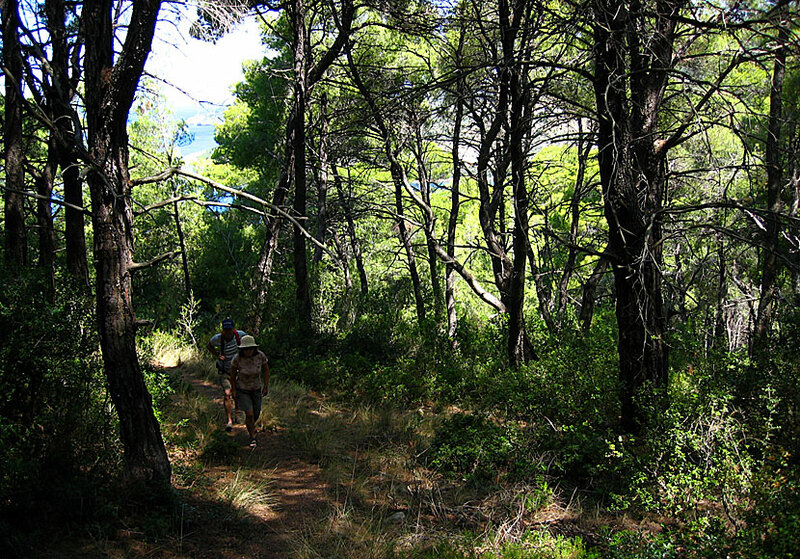 The path goes under tall pine trees, it almost feels as if you walk indoors. On some trees there are small mugs which collects resin that is used to flavour Retsina.